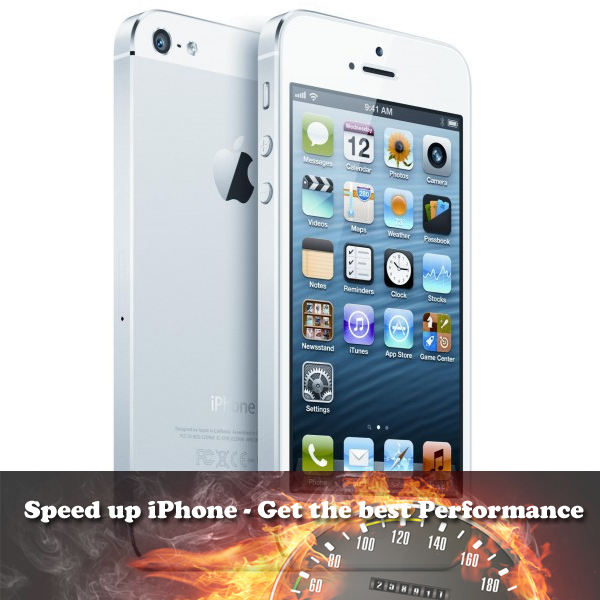 iPhone 5 has been launched and it created a new record of sales against all the critics out there. Most of the Apple fanboys like iPhone and iPad too much but some are shifting to Android Phones or Windows 8 Phones. People store videos, documents, movies, office documents, notes, calendar events, contacts etc on Phones and thus you will need to migrate all your data while changing the Phone. 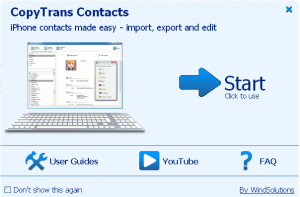 Here, we will tell you how you can backup your Contacts that is on your iPhone/iPad and restore it whenever required. 1. 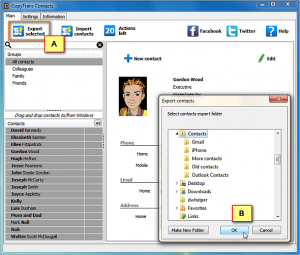 Simple interface: One click Backup of iPhone/ iPad contacts to your computer. Easy to use interface to organize, edit, group contacts. 2. 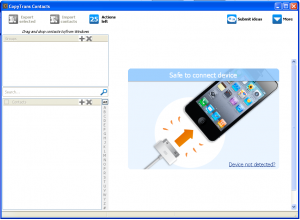 Export Contacts from iPhone/iPad to PC or restore from PC to Phone. 3. Store contacts locally or on Cloud storage. Copy to multiple locations. 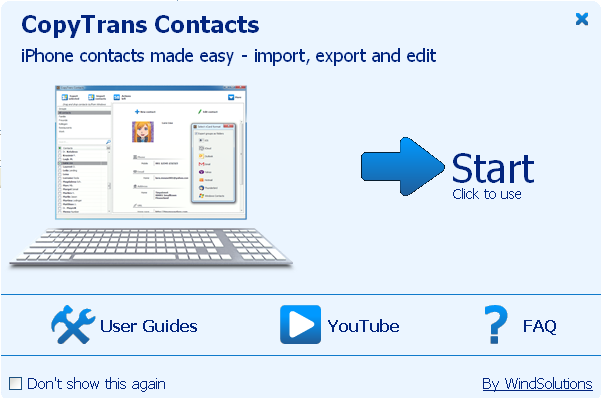 Step 1: It is quite simple to use the CopyTrans contact manager. Just download and install the software. Open it and you will get a welcome start screen. Step 2: One the welcome screen there are links to user Guide and YouTube video Tutorial. Just click Start button and it will take you to the main interface. Step 3: It will ask you to connect your iPhone or iPad. As soon you connect, you will get access to all your contacts on the device. 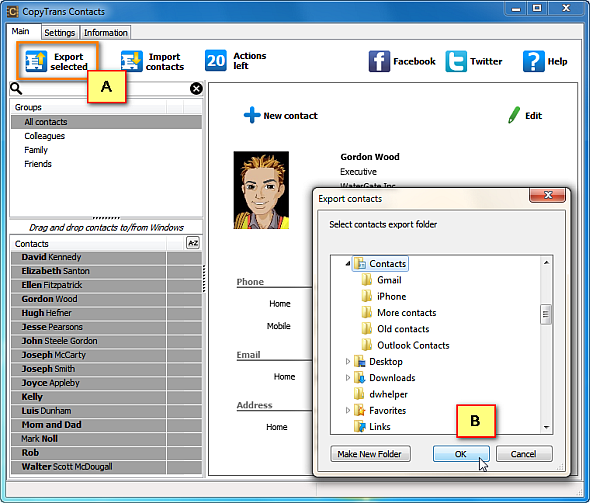 You can either edit, organize the contacts or select the contacts you want to backup and click “Export Selected” button. 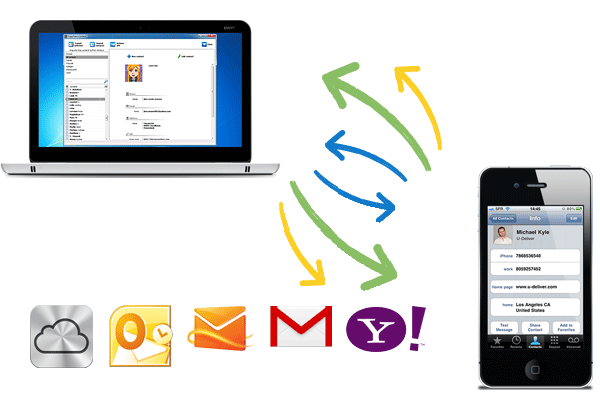 You can export to PC or to Gmail, iCloud, Hotmail, Yahoo etc. 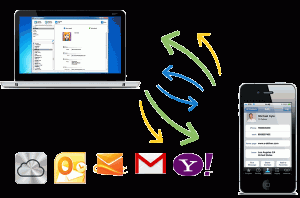 Step 4: If you want to restore the contacts just connect the device and click import button You can either browse on your PC or sync through email and cloud services. There is also a Drag and Drop gesture to backup contacts, this app is also useful if you have switched to iPhone 5 from an Android device and want to gain all contacts on your Gmail on iPhone.